This company is now part of Liteforex group ! In 2008, MAYZUS Investment Company was launched as a part of the private group of companies. The company has an aim to provide the investors with most fascinating and advanced financial support as available in the markets. 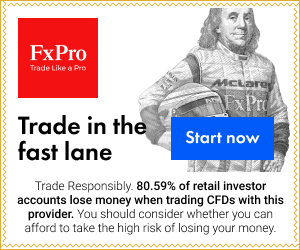 In recent times it is not only the most well established broker in the Forex markets but it is also a strong contender for those operating in the Forex markets. It is one of the quickest developing financial service providers in the latest scenario of the markets. The headquarters of this financial company is based in Cyprus but the network of this company is spread throughout the world. This major provider of investment services named as Mayzus Investment has their headquarters situated in Cyprus. In 2008 this company was established. At that time it was better known as United World Capital Ltd. The name was sustained till it come up with positive popularity. Fair spreads are offered to the users by Mayzus Investment along with fast order processing services. Mayzus offers its customers with alluring bonus schemes on regular basis for promotional purposes and these definitely make things extremely attractive for the investors. Broad ranges of lots in micro sizes and minimum deposit amount of 25$ is provided by this Investment Company. It is an ideal forex trading partner for the new traders. It is under the authority and regulation of CySEC bearing the number 093/08 as it is based on Cyprus. It is the most active member of Investor’s Compensation Fund or ICF having a security based deposit limiting till € 20.000. Cyprus Investment Firm is registered with MAYZUS Investment Company as it bears license from CySEC and has authorization received from as many as 15 financial regulation functioning bodies that includes FSA. Bonus Variables: Availability of bonus till 50%: The bonus as available up to this limit is a marginal categorized bonus and has no withdrawn option available. The maximum amount of bonus as available under this category is $1500. Cashable Bonus up to 80%-STP and REALForex account holders can avail this bonus. Check out further information about the bonus. 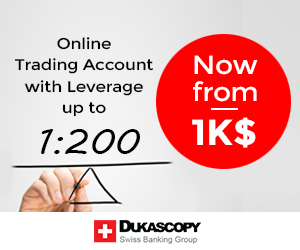 Amounts can be deposited and withdraw from the accounts in a swift and easy manner through Mayzus Inverstment. You are provided with the available options below: Master-Card or VISA, Moneybookers (Skrill), Transference from Banks, WebMoney, WebMoney ETELLER and WebMoney QuickCard option is also available including of the other options as mentioned above. Mayzus Investment allows navigating balances in the accounts through ATMs spread throughout the world. In this MAYZUS review we can see that this forex broker has excellent support, a lot of payment methods, bonus offer and several platforms for trading either manual either automated signal following trading as Mirrortrader.